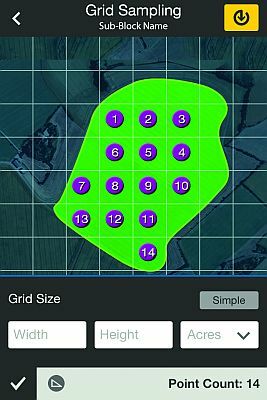 In the first step in using AgVerdict, a field agronomist or Pest Control Adviser (PCA) GPS-maps a field using an iPhone loaded with the AgVerdict app, tracing a field’s contours in an ATV. Ag retailers and growers long have called for precision farming software that is easy and intuitive to use, has interoperability with multiple pieces of equipment, and can toggle among multiple crop areas. In AgVerdict, the people at Wilbur-Ellis’ Agribusiness Division believe they have that product, or at least one that is well down the path. After taking a first pass at AgVerdict and releasing it four years ago, Wilbur-Ellis stepped back, recruited web and software developers from Microsoft and other tech companies near their Seattle, WA-area facility, and began to build an improved version using a “software-first approach.” This new version of AgVerdict – with 80 tech engineers now dedicated to the product’s user-experience design, software development and testing – should turn a lot of heads as it continues to roll out to all 167 Wilbur-Ellis retail facilities and current grower customers from Washington State to Ohio by the end of 2014. In preparation for development, Wilbur-Ellis personnel spent 12 weeks fanning out through the U.S., meeting with growers across multiple crop areas and “figuring out what their needs are. 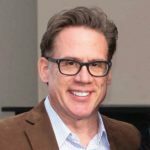 What they told us is that [the software] has got to be mobile, it’s got to be easy, and it’s got to be intuitive,” says Mike Wilbur, vice president of data services and field technology for Wilbur-Ellis. What emerged is a product that is as simple to use as an iPhone, with easy-to-understand graphic icons; stores all data in the cloud, making it accessible from anywhere including desktops and through use of a native iPhone app; has “lots of offline functionality,” enabling a user to start a task on one device and finish on another; and adapts data fields instantly based on a particular crop. For instance, “If you’re a grape grower, you’re not seeing data fields for corn,” says Rusty Harder, strategic marketing manager, Wilbur-Ellis. Use of the software begins when a field agronomist or Pest Control Adviser (PCA) GPS-maps a field using an iPhone loaded with the AgVerdict app, tracing a field’s contours in an ATV and visually monitoring his or her progress, in real time. After the map is set and field sampling information has been input, an adviser can log into the software with his or her grower and build a fertility “equation,” based on soil samples and starting with baseline recommendations set by a national agronomist but adjustable for factors such as, say, more or less rain. At all times, dropdown menus provide options on various fertilizer products and application rates, and the running cost of each option is calculated. If a determination is made that the initial recommendation calls for, say, too much urea, the rate for that nutrient is reduced and the software recalculates the equation. The step from final fertility plan to application is efficient as well: The plan, whether for uniform or variable-rate application of fertilizer, can be printed or emailed, or (eventually) exported wirelessly as a GIS shapefile to a machine or controller. This direct link from software to hardware will be a huge leap from the “old days” when field maps had to be batched overnight, notes Ellsworth. It also improves on the current use of thumbdrives to transfer data. When it’s time for in-season scouting, the AgVerdict app automatically “knows” via GPS which field a user is in and lists other fields within two miles. When a scout makes note of, say, a particular insect in the field, a selection is made from a list of pests specific to that crop. The scout then can call or text appropriate personnel directly from a screen on the app, and a scouting report is generated on the server side with a link sent via email. As a crop protection plan is being crafted, AgVerdict pings a comprehensive listing of labels, displaying only those products that are currently labeled for that particular crop and state, and creates an Application Work Order report to be used by an applicator. In time Wilbur-Ellis hopes to overcome current limitations of hardware and enable a crop protection application order to be sent directly to the controller, eliminating the need for applicators to re-enter work orders. For now, as-applied maps — generated for every field Wilbur-Ellis serves — answer questions that increasingly are asked by regulators and sustainability-minded food companies and retailers, such as: why did you apply the product? ; who did it? ; did they actually do it? ; when, where, and what were the field conditions? Wilbur-Ellis’ tech people have taken extreme steps to ensure all data uploaded to AgVerdict is secure and available. The software is hosted by Amazon Web Services, at three data centers in the U.S. large enough to handle the volume Wilbur-Ellis is anticipating. This means AgVerdict can “auto-scale during sessional high computing,” in the words of Wilbur-Ellis web designer Toji Thomas Oommen, meaning: the system is not likely to go down during harvest. Compromising of the site is not likely to occur either, as Wilbur-Ellis has paid third parties to try hacking AgVerdict data, with no success. As for who owns the data, Harder is unequivocal: “You [the grower] own your data. And growers who decide they no longer want to subscribe get their data back.” However, Wilbur-Ellis does not anticipate too many growers will abandon the service, which will be available to all of their current grower customers by the end of 2014. The company says retailer and grower reception to AgVerdict so far has largely been in the ballpark of “you guys built what I asked for” and “finally somebody listened to what I want.” This is music to the ears of the team at Wilbur-Ellis, which “made a huge investment to do this, and do it right,” Wilbur says.